Gurim has had so much fun these past few days! Thursday was our first all day themed event – Yom Superhero! The afternoon started off with all the chanichim (campers) dressing up as superheroes. They sported towels as capes and many used their creativity to come up with original superhero titles. Then we had two peulot (activities) of fun superhero obstacle courses. The first was a superhero costume race. Each chanich ran to different cones, where there was a piece of clothing they had to put on. At the end, they posed in their superhero stance and ran back to put back each piece of clothing for the next person’s turn. The second obstacle course consisted of jumping across the Kangaruach to save a ball, and bring it back to the end. We ended the energy-filled afternoon at the agam in order to cool off. 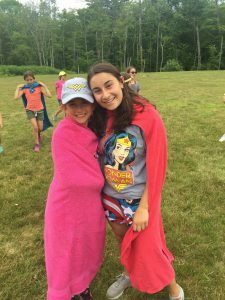 At night, we continued our superhero fun and started the evening heading back to the bunk to transform one of our counselors into an original superhero! We all came back and presented our ideas and performed our written jingles. Overall, Yom Superhero was a success! Friday was a calmer day in Gurim. In the afternoon, the banot had a Shabbat-o-Gram (notes we write to each other on Shabbat) and the banim played kickball. We had a quick free swim and then went up the bunks to get ready for Shabbat. While it was a rainy Friday night, we davened a great Kabbalat Shabbat and had a yummy dinner. Saturday morning was typical services and free time. 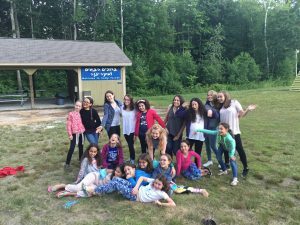 In the evening, the banot were introduced to their Ma’alot buddies (campers going into 10th grade) and played icebreakers. 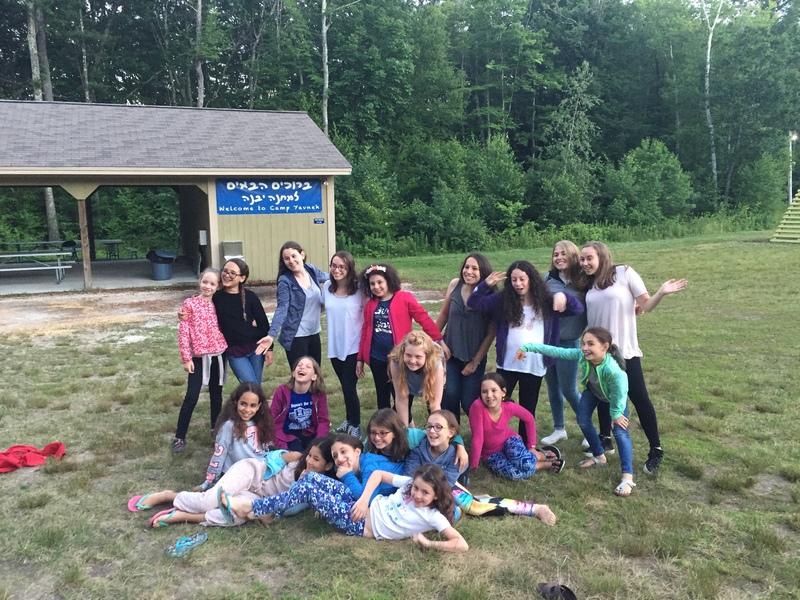 Camp had another energetic Havdallah and everyone went to bed to get ready for another fun filled week at Yavneh. Monday was a normal schedule with chug, kitah and free swim in the morning. After lunch, we had our mishlachat (counselors from Israel) and chinuch (education) programming. The mishlachat played fun Hebrew learning games with the chanichim and the morim (teachers) played interactive games that taught the chanichim the importance of team building. We ended the afternoon with another free swim. Our peulah erev (night activity) was run by our Kerem (counselors in training). Each bunk’s Kerem prepared very creative peulot including skits, sports games and fun icebreakers. While our time with Kaytana Aleph comes to an end, we’ve had an amazing time with those who are leaving tomorrow. We hope to see you next year for Summer 2018!